James Neiss/staff photographerNiagara Falls, NY - Cortney Kensinger dashes across Pine Avenue to catch a bus at the corner of 22nd Street. Kensinger, said it sometimes takes her 5 minutes to cross the street there. 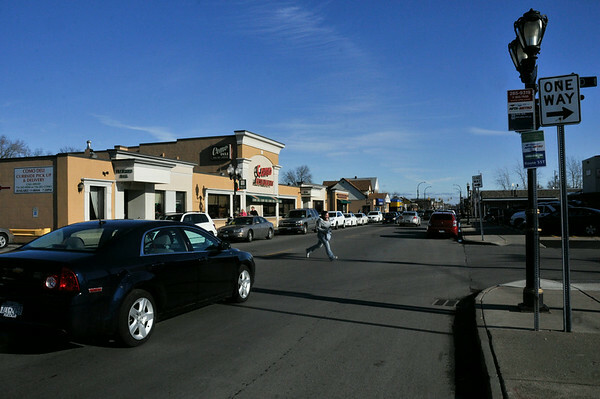 Niagara Falls City Council members would like to see a traffic light somewhere near the Como Restaurant on Pine Avenue, due to all the injury accidents in that area.